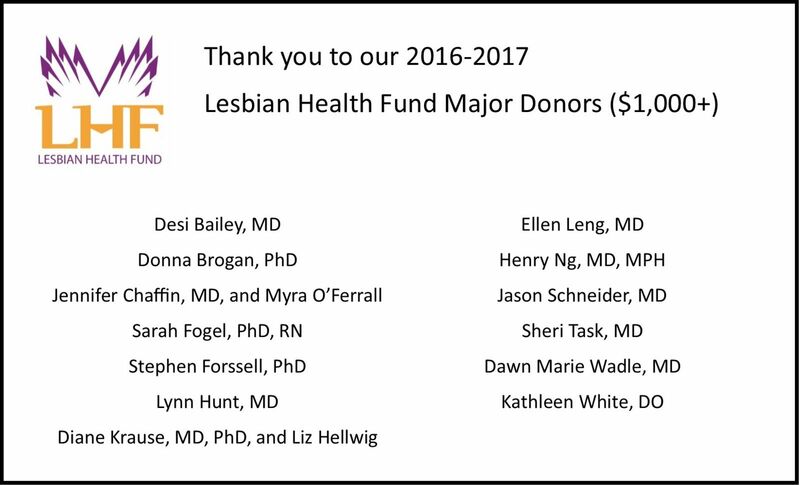 The Lesbian Health Fund relies on your support. LHF, 1133 19th Street NW, Suite 302, Washington, DC 20036. You can help us achieve our goal of funding $1 million in research grants by the end of 2018. With your support, we can reach our goal and improve the health and well-being of lesbians. Click here to learn more about LHF and how your donation will make a difference in the lives of lesbians and sexual minority women.